Croissant Bread and Butter Pudding with Dark Chocolate and Raspberries. 6. 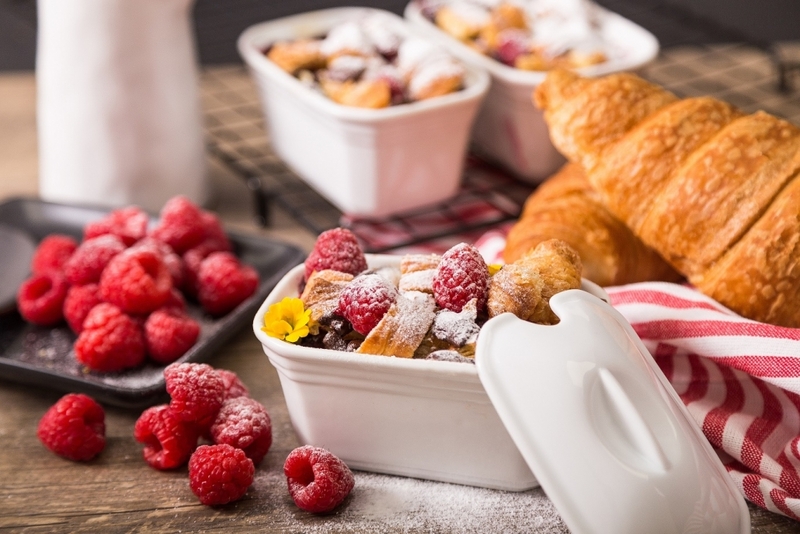 Drizzle Egg Mix all over the Croissant, Berries and Chocolate until mixture fills ¾ of the ramekin. 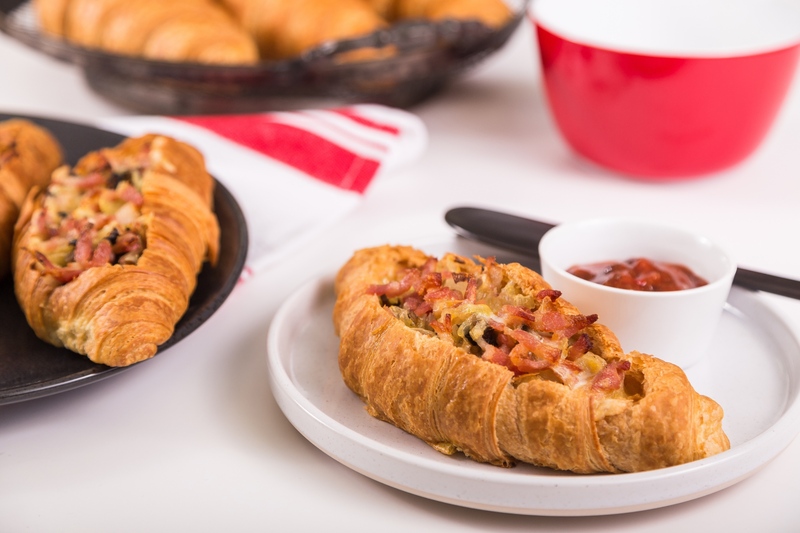 Using a sharp knife, cut the centre of the croissant ¾ the way through ensuring not to cut the bottom. Press the centre down into the middle making a nice thick base for the bacon mixture to sit on.